SOUTH HOLLAND, IL – South Suburban College hosted its 90th Commencement Ceremony on Sunday, May 20, 2018 in the SSC Fitness Center/Fieldhouse on the Main Campus located at 15800 South State Street, South Holland, Illinois. This year’s Commencement Speaker was Marcus C. Evans, Jr., State Representative for the 33rd District, serving in his 3rd term. His district covers parts of Chatham, South Deering, Avalon Park, Burnside, Calumet Heights, South Chicago and south suburban communities; Burnham, Calumet City, Lansing, Lynwood and Sauk Village. Born on the South side of Chicago with limited financial resources, Marcus grew up in a traditional family structure where he was taught three important ideals that would come to define his life’s work: integrity, hard work and community service. Marcus attended Morgan Park High School and Chicago State University, majoring in mathematics. 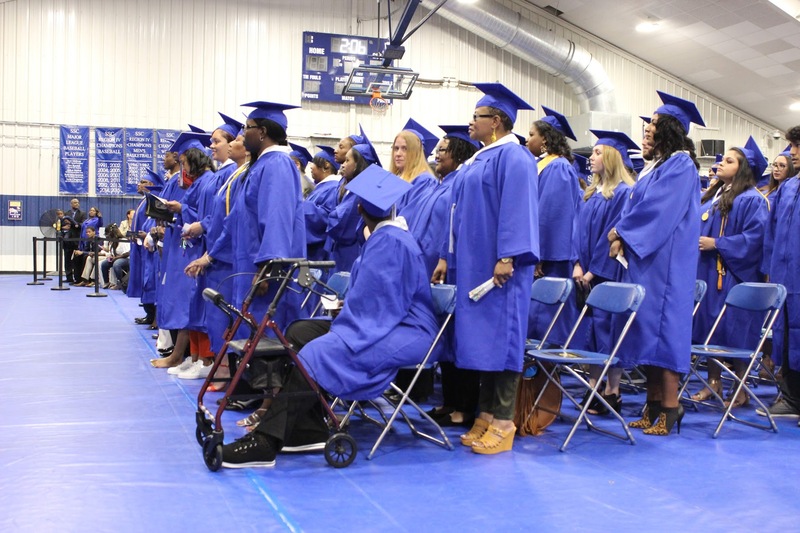 This year South Suburban College awarded over 500 degrees and certificates to graduating students, in addition to many more transferring students who are finishing up their two years at SSC. Approximately 200 students walked at the ceremony. Registration for the fall semester at SSC is now in progress. For more information about all of SSC’s programs, admissions and registration, please visit www.ssc.edu or contact the Admissions Office at (708) 210-5718.